In lieu of flowers memorial contributions may be made to Heartland Hospice and left at the funeral home. 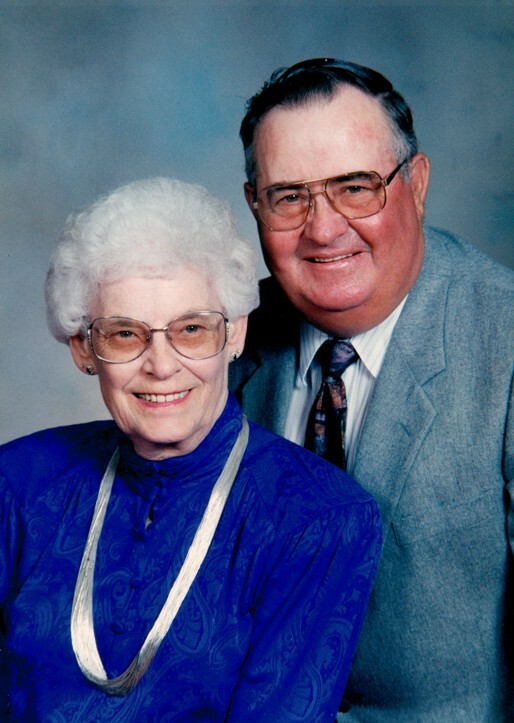 Lacy Faye (Chastain) Casey, age 84, of El Dorado Springs, Missouri, passed away at her home on Friday, December 13, 2013. She was born January 28, 1929, to Lloyd and Luella (Hylton) Chastain at Gas, Kansas. We rejoice that she no longer struggles to breathe due to the COPD she lived with, but is rejoicing in heaven with her loved ones. Lacy moved with her family when she was about one year old to El Dorado Springs, Missouri, where she grew up and attended school. She joined the First Baptist Church of El Dorado Springs in 1941. On April 9, 1945, she married Ronald L. Alexander. To this union two children were born: Ronnie Earl and Rhonda Gail. On October 15, 1955, she married James F. Casey, and they celebrated fifty years of marriage before Jim passed away on January 8, 2006. One of Lacy’s passions was making birthday cards to show her friends how much she cared for them. She sent literally hundreds of Christmas cards through the years and spent many hours making them on her computer. If you received one of her cards, you felt the love she sent with it. Preceding Lacy in death were her husband, James F. Casey; her son, Ronnie Earl Alexander; her parents Lloyd and Luella Chastain; three brothers: Harry (infant), Earl D. Chastain, and Wayne Lee Chastain; one sister, Estelle Haworth; grandparents, Harry and Ellen Hylton; and a son-in-law, Kenneth Culbertson. Survivors include her daughter, Rhonda Gail Boch and husband Mark, of El Dorado Springs, Missouri; her daughter-in-law, Patti Alexander, of El Dorado Springs; seven grandchildren and their spouses: Jamie and Patti Alexander, Bill and Alison Alexander, Tonya and Alan Hooper, Richard and Mindi Culbertson, Amy and Tom Cheek, Darin and Susan Leonard, Brad and Amy Leonard, Heather and Ken Surbrugg, and Matt and Johnna Boch; several great- and great-great-grandchildren; a family that was special to her heart, Russel and Deanna McCowan and their children, Rachael and Adam Daulton and boys, and Trenton and Kirtis McCowan; as well as many nieces and nephews who will mourn her loss. At Lacy’s request, her body was cremated. There was a “Celebration of Life” service on Monday, December 16, 2013 at 2:00 p.m. at Bland-Hackleman Funeral Home.